TAKE YOUR SKIN TO A NEW LEVEL OF HEALTH! Peeling is believing! You can change your skin in just one peel! We offer a variety of different peeling solutions for various skin conditions and types. All of the peels are formulated to work on any skin tone, and use nanotechnology to transport ingredients to the cells. Yes, ANY skin tone! Unfortunately, the accumulated effects of the sun, environment, and lifestyle; damage our skin and cause us to look older than we really are. These clinical skin care treatments are non-invasive procedures with no down time, designed to promote cell growth and trick your skin into acting and looking the way it used to. Superior results are achieved with a series of 6 treatment peels spaced 10-15 days apart, depending on skin condition and desired results. Let us whip up a Custom Blended Peel, just for you! We custom blend several natural (plant derived) acids such as salicylic, lactic, glycolic, retinoic, kojic, and tartaric acids. By making different “acid cocktails” we are able to give the widest variety of results. From very mild peeling, to very aggressive peeling. Each cocktail is specially made for each client’s desired results. Gone are the days of using the same type of peel that your grandmother, your mother, and your next door neighbor used. Let us customize a SKYN plan to fit your needs. We would love to. 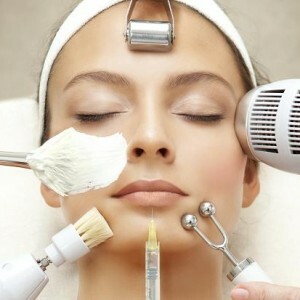 First we analyze your skin and determine the goals you would like to achieve. Anti-acne additive – Additive for the treatment of acne prone and oily skin. Hyper-pigmentation & Dark spots – Treats skin blemishes and dark spots. Resveratrol – For mature, flaccid, and photo-aged skin. Natural Glow – For Dull/photo-aged skin. Revives the skin by returning the radiance and smoothness to the skin. Reduces wrinkles, blotches and sagging. Antioxidants- For mature and aging skin. Our Stretch Mark Peel uses innovative trans-dermal technology to transport active ingredients (nanotechnology). This state-of-the art technology permits us to launch a series of skin treatments with a penetration and effectiveness never seen before. The Stretch Mark Peel has epidermal and dermal effects, moisturizing properties, stimulates synthesis of collagen, elastin and glycol protein with action superior to glycolic, on a scale similar to that induced by a TCA peel, but without causing discomfort and excessive shedding. It accelerates cell turnover and normalizes keratinization. Nourishes the Skin with Hyaluronic Acid, decreases the depth of wrinkles and/or scars, and improves skin elasticity. Combined with Diamond Microdermabrasion the results are simply remarkable? You can get red of your Stretch Mark burden! Our hyper-pigmentation program removes dark sports or sun spots and evens out your skin tone. Wit a combination of Melanin suppressing facials and peels, we manipulate the skin in to healing faster and looking better. 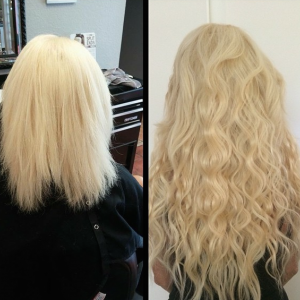 Frequency: minimum of 90 days, 1 treatment per week, until the desired results are accomplished. 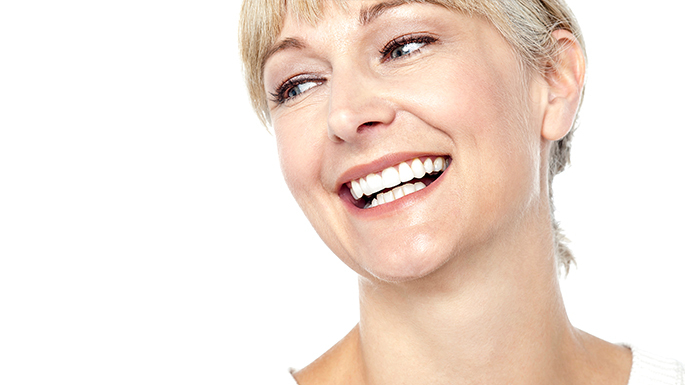 Our Baby Boomer program removes fine lines and wrinkles. The peel program helps to boost your skins collagen and elastin production, creating youthful skin again! Pumpkin Enzyme Peel: Pumpkin is a rich source of antioxidants & enzymes that act like AHAs. Pumpkin also contains more than 100 beneficial nutrients, which are used to help reverse the signs of aging. The alpha hydroxy acids (AHAs) used in our Organic Pumpkin Peel have been shown to promote smoother, younger-looking skin by increasing the rate of cell renewal. Mandelic Peel: Mandelic acid is stronger than Glycolic acid, but it is less irritating. Suitable forsensitive skins and darker skins. Mandelic is EXCELLENT for treating stubborn acne, reducing fine lines and wrinkles, rapidly improving skin texture, and reducing pigmentation, brown spots and large freckles. TCA Peel: TCA peels (Trichloroacetic Acid) are a deep class of peels which penetrate the epidermis and upper layers of the dermis. These peels are the best for the client who is looking to erase hyper-pigmentation, lines, wrinkles and uneven skin texture caused by sun exposure. Jessner Peel: Jessner peels are highly effective peeling agents with a combination of Resorcinol, Lactic Acid and Salicylic Acid. These peels are best used for treatment of cystic acne, acne scarring, and back acne. 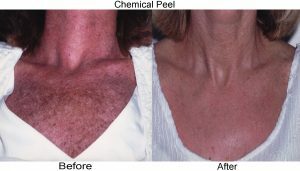 Salicylic Peel: Salicylic peels are one of our most popular peels, used to control and prevent acne. If you have oily skin, are prone to blackheads, acne breakouts or have large pores, Salicylic peels are highly effective peeling agents and pore cleansers that can help you. Salicylic peels help break down blackheads and whiteheads, resulting in marked improvement to acne prone skin. Glycolic Peel: These peels are moderate peels which penetrate the epidermis only. Glycolics are ideal for the client who is seeing the first signs of premature aging. This deep pore cleaning and oil absorption peel is ideal for collagen stimulation and exfoliation. Lactic Acid Peel: Lactic peels are the most gentle peels designed for all skin types. These peels are ideal for the client who is looking to brighten and smooth away skin imperfections while increasing skin hydration. Lactic peels are excellent for dry skin, mature skin, mild to moderate pigmentation issues, evening out skin tone, Melasma, and Rosacea.